Happy Family Day Long Weekend! 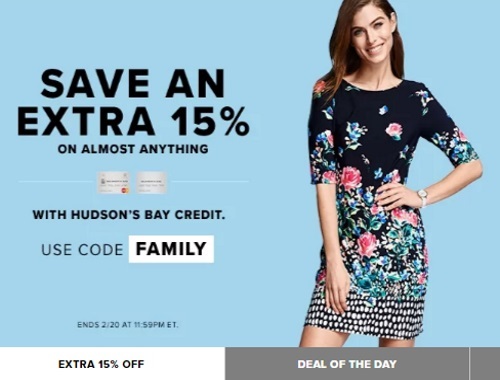 Hudson's Bay is offering an extra 15% off almost anything when you pay using your Hudson's Bay Credit Card or Mastercard. Enter the promo code FAMILY at checkout. Offer is valid until February 20 at 11:59pm ET.